Watkin’s ‘Morality and Architecture’ (1977) is still fairly well known, although I suspect it’s starting to lose currency. It has been described as a ‘polemic’. Its most favourable reading—its best hope, even—is as a call for some space for the practice of the traditional in architecture, and beyond that, for architectural aesthetics to recover priority. It does not succeed in this. At the end of his book, Watkin writes: “a historicist emphasis on progress and the necessary superiority of novelty, has come close to undermining, on the one hand, our appreciation of the imaginative genius of the individual and, on the other, the importance of artistic tradition”. The book doesn’t contain much argument. Watkin’s method is to take a succession of writers—Pugin, Viollet-le-Duc, Lethaby, Giedion, Furneaux Jordan, Pevsner—and subject them to a sceptical debunking, generally in the form of ‘… and we see that he too has been captured by the idea of a Zeitgeist’. The book is short, so each of these figures can receive only a short amount of discussion: Pevsner gets the most. Watkin frequently uses not only the term ‘Zeitgeist’ but also the more direct ‘Hegelian’; even so Hegel’s arguments are not presented or explored. Yet with the chutzpah dial at full, Watkin also writes that “no one with a proper training in philosophy, intellectual history, religion, or the social sciences has turned a critical eye on architectural history”. At the same time, Watkin cites Karl Popper (‘The Open Society and its Enemies’ and ‘The Poverty of Historicism’), with apparently no sense that this in itself might be a serious warning off to anyone with “a proper training in philosophy”. A practicing designer will also find Watkin’s debunking project to be dotted with statements that irritate. For example: “the so-called ‘human needs’ are defined arbitrarily, arrogantly, and with a complete disregard for the importance of tradition as a guide to the architect” (are we allowed to try to define such needs in a better, less arrogant way? ), or “in fact [the use of glass] is generally an aesthetic urge disguised as a technological necessity” (why can’t it be both? ), or “in itself [structural efficiency] is not particularly interesting except to the specialist or the structural engineer … most people take structural efficiency for granted” (they might take it for granted, but they might also enjoy it). Watkin’s discussion of Pevsner ought to be the most rewarding part of the book: Watkin was a student of Pevsner, so we can hope to find an unmediated characterisation. Here, a sense of timescale might be helpful. Pevsner’s ‘Pioneers of the Modern Movement’ was published in 1936, when (what we’d most likely call) modern architecture was established as a focus of activity in many countries (except Nazi Germany, where it was subject to official repression) but actual built examples were still comparatively rare. 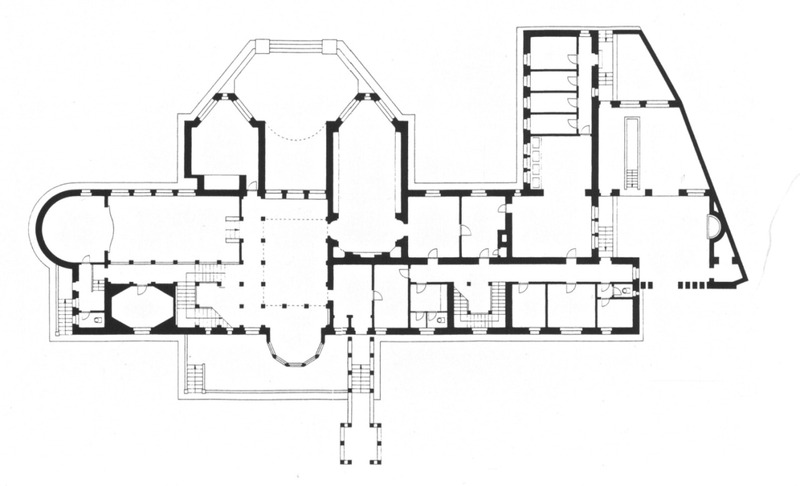 By 1977 (the publication year of ‘Morality and Architecture’) another world war had occurred, many social institutions had been re-ordered, the Marshall Plan had taken effect, extensive physical rebuilding had taken place across Europe, and a number of prominent émigré architects (for instance, Gropius, Mies van der Rohe) had influenced a rapidly expanding American built environment. In 1936, the advocates of modernism—the CIAM architects, for instance—were working to enlarge a cultural space for the practice of modernism. In 1977, Watkin feels able to write as if the practice of modernism in architecture threatens his freedom to enjoy classical architecture. ‘Pioneers …’ and ‘Morality and Architecture’ can be seen as opposed works of advocacy; the one calling for more modernism, the other calling for less of it. There is an openness to diversity and heterogeneity in Pevsner that Watkin seems to completely miss: in light of this, it is hard to see how Pevsner can be fairly represented as a Philip Johnson figure, working tirelessly to converge creative efforts; to curate a modern future. ‘Morality and Architecture’ is a straw man effort, and a misdirection of energies. There simply is no requirement to move Pevsner out of the way for any traditional or other stylistic revival. This entry was posted in Traditionalism on August 21, 2018 by charlespwhitaker.